Hi again all you kooky cooking kids! 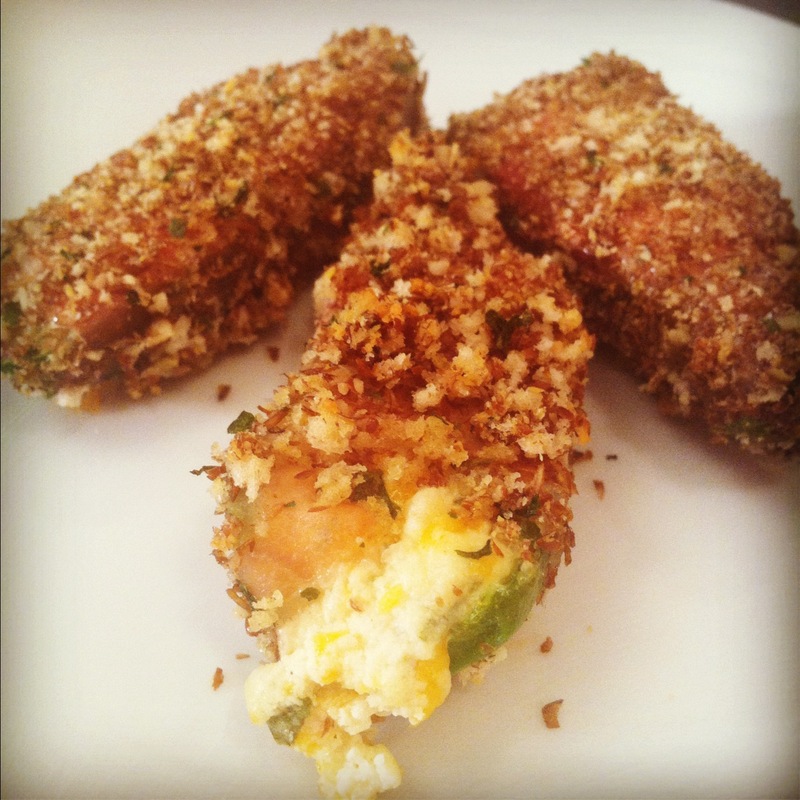 And you KNOW I just had to have someone who loves to party n play over to help me make these yummy poppers. What better person than party host and Big Brother star Will Wikle!? He sure was popping his booty all over my kitchen in the process. And we learned some new vocabulary words while we PNP’d together too! If you would like to make these poppers just follow these simple directions below. And don’t forget to ALWAYS PNP responsibly! 3. Slice jalapenos lengthwise and remove membranes and seeds. You can keep some seeds in for added spice but i removed mine. 10. Cool for a couple minutes before serrrrrving and ENJOY! 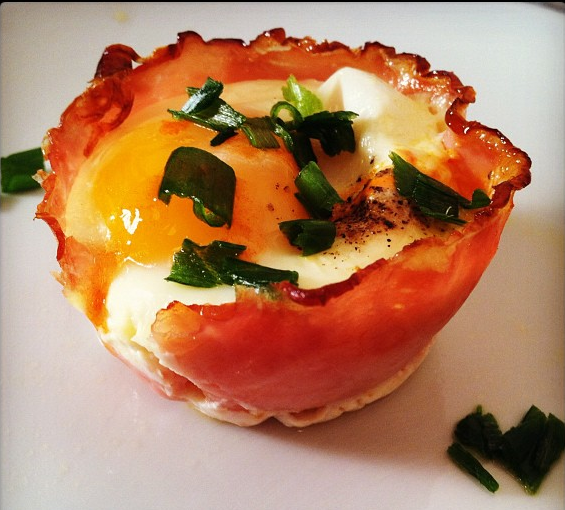 This week i thought it would be great to show you a great low-carb breakfast treat that I have been making for years – eggs baked into little ham cups. This is a recipe my nana used to make for us when I was younger and each time she would fill the cups with an assortment of things, veggies, rice, even more meat. This is a simple version I did with just gruyere cheese, garlic, and a splash of tabasco for a needed kick of spice. 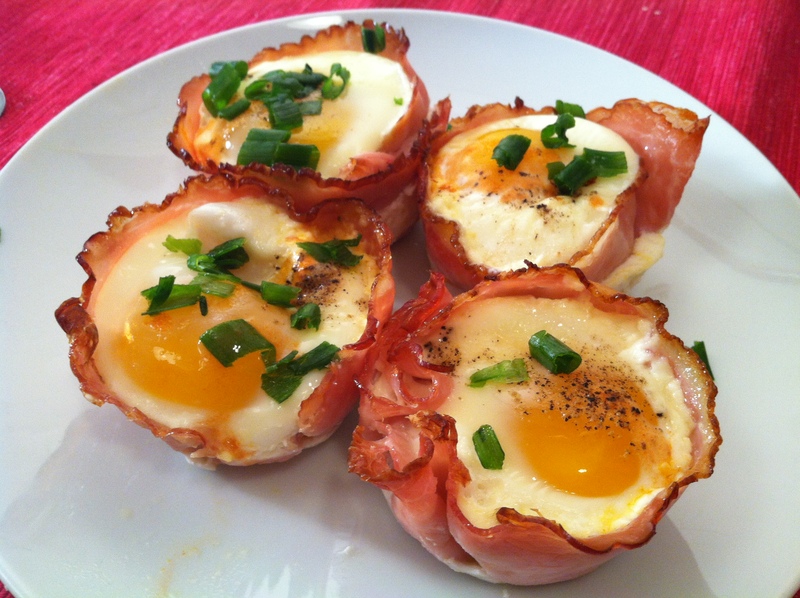 They come out pretty mean, hence my nickname for them – Mean Eggs & Ham. Of course you can fill them with anything and everything your heart desires! Just be sure to be carb-conscious and nice to your body, not mean. Speaking of being mean, who better to help me with these cups than the bitchiest Door Girl in the city- Markus! Markus was a big help (headache?) in the kitchen but decided to set the record straight on who really is a VIP in this town, and what the hottest parties are right now. Oh yeah, she also thought she could smoke in my kitchen! Watch Markus cook, dish, serrrve and open up to me as we perfect this awesomely mean breakfast treat together! If you want to make these at home just follow the simple directions below and enjoy! Be sure to comment below and tell me what you think of these Mean Cups! 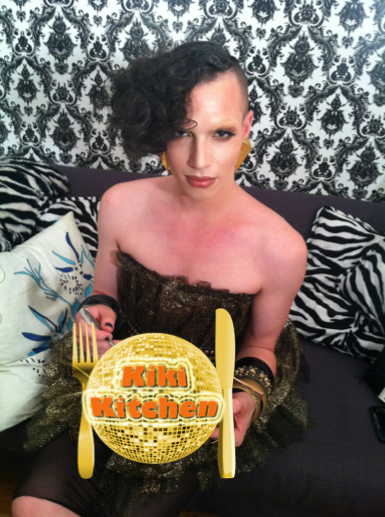 And dont forget to always make cooking a KIKI! 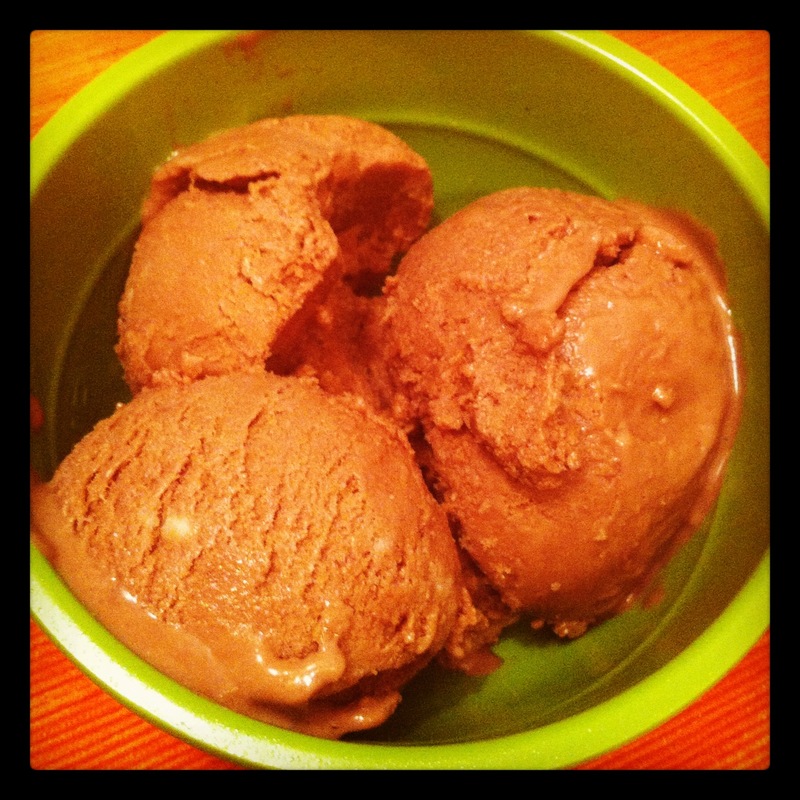 It’s hot out there so I thought what better way to cool off then with a tasty low-carb treat – ICE CREAM! You’re probably thinking what the hell?! 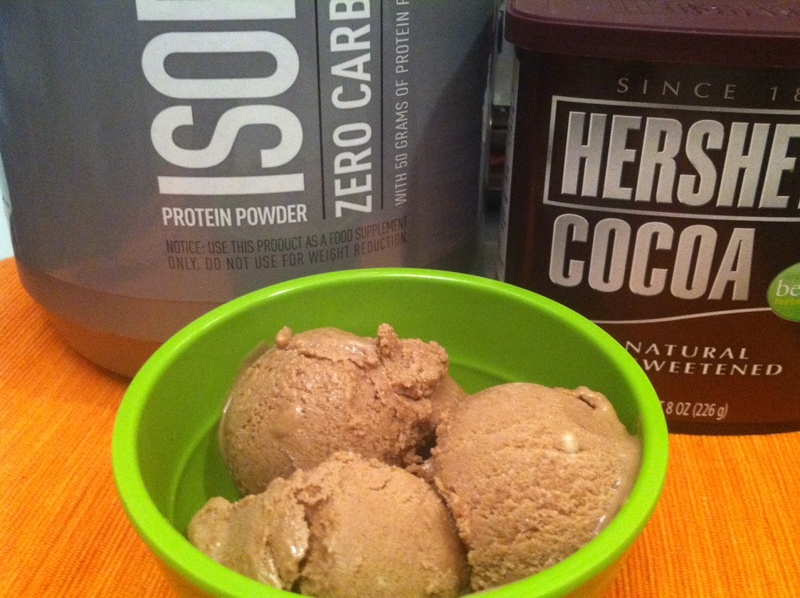 But seriously did you know you can literally put your favorite protein with milk in an ice cream maker and presto! ICE CREAM! Not lying, and if youre smart and carb conscious about the ingredients you use you get a frosty treat that’s not only deliciously good but ALSO good for you! I know I know I know, who even has an Ice Cream maker, especially in this cramped city of New York but this recipe is perfect for anyone, ice cream maker owners or not. I learned a great way to make ice cream in camp when I was younger that involves kosher salt, ice, ziploc bags and lot of shaking! And speaking of Camp and shaking, who better to help shake up these low-carb frosty treats other than Go-Go God and professional booty shaker himself, Matt Camp! Matt stopped by and told me that he’s lactose intolerant, WHO KNEW?! Not to worry all you “lactarded” boys and girls out there, this recipe uses almond milk so it’s perfect for all of you who are lactose and soy free! 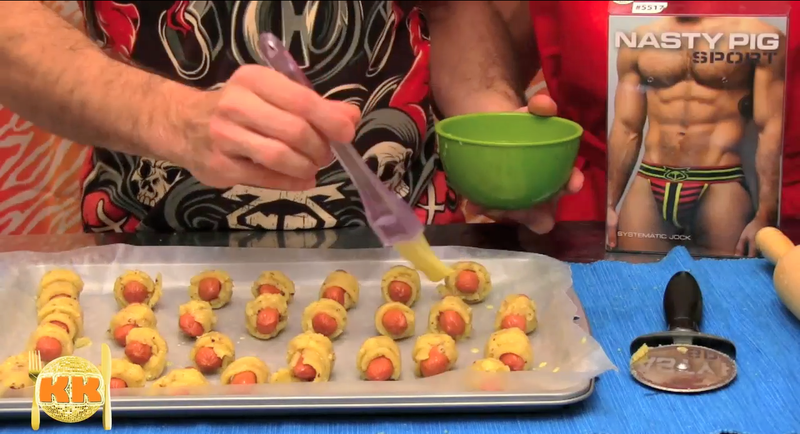 Watch this lactarded boy shake it up right, all in the name of low-carb creamy goodness! If you want to make this at home, it’s super easy. Basically take your favorite milk based protein shake and throw it in your fancy ice cream maker, or use the two Ziploc bag method! Never fails!! For instructions on what I did read on below. Please note that this recipe is for 2 people so half it if you’re just making for yourself. 7. Shake bag vigorously for 5-10 minutes until you get the desired ice cream texture you like. Longer will be thicker. 8. Scoop out and enjoy! Try this at home and tell me what you think kids!! There’s a million different recipes for dough with this amazing flour but I came up with one a little sweet with a drizzle of honey and little savory with mustard seeds IN THE DOUGH! Almond flour can be kind of hard to find but try Whole Foods which has amazing flour alternatives of all kinds. Trader Joe’s also sells an almond meal which is pretty much the same thing. Hope you like it and try this recipe next time you have the girls over for a kiki! 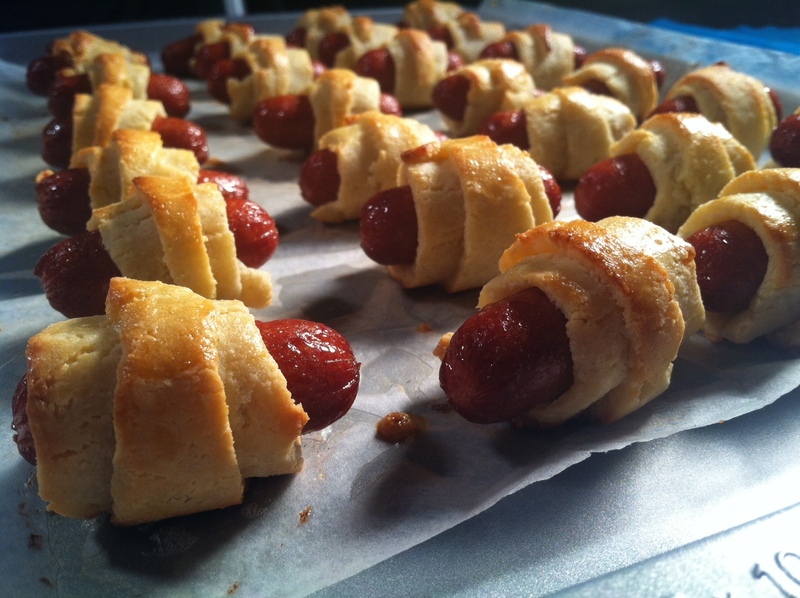 I called them “Nasty Pigs” because they’re just weenies wrapped in nuts. *wink* The recipe was also inspired by one of my favorite stores in Chelsea called Nasty Pig which sells awesome clothes that look great on everyone. 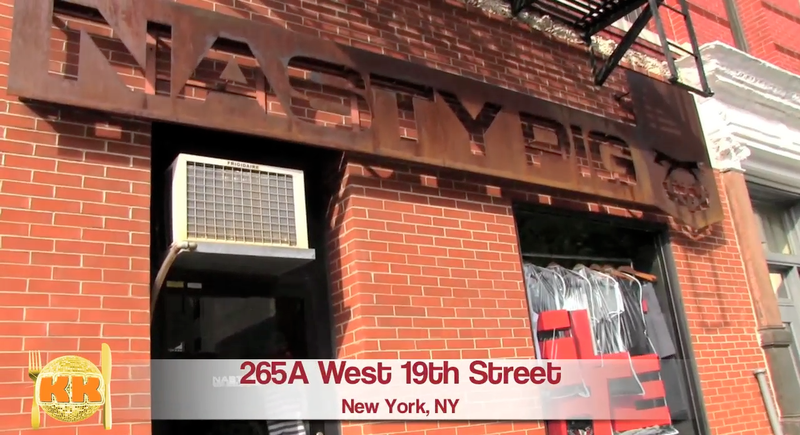 Check them out at http://www.nastypig.com or head on down and see them if you’re in NYC at the address below. And seriously, who better to drop by and help me make these Nasty Pigs in a blanket other than Nasty Pig store manager and jockstrap box model Jay Roth himself?! If you would like to make these at home it’s super simple! Try em and let me know what you think! 1. Combine almond flour, 1 egg, butter, honey, mustard seeds and salt in a bowl with a fork until it forms a nice ball of dough. 9. Once all arranged neatly on the cookie tray, beat the other egg in a small bowl and gently brush the top of each piggy with a pastry brush. This will make them nice and golden brown while they bake. 10. Bake at 400 degrees for 15 minutes then serrrrrrrve with your favorite carb-conscious dipping sauce. Mustard always does the trick for me, and ZERO carbs! Enjoy these Nasty Pigs responsibly! OINK!